It takes a lot to get ahead as a cookware manufacturer these days. 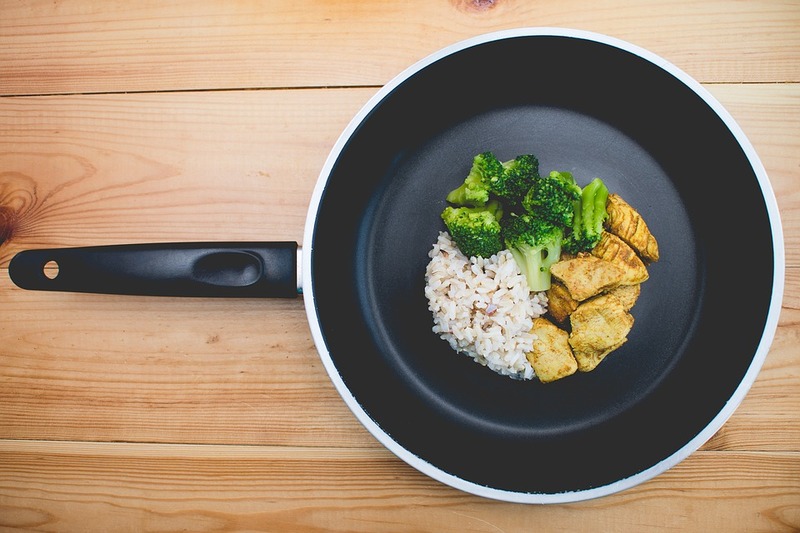 With so many low-cost nonstick options to choose from, brands have to really stick out from the pack to be worth buying. While some companies turn to celebrity endorsements (from chefs like Paula Deen, Guy Fieri, and Curtis Stone), others use novel construction techniques to give their pots and pans a unique advantage. Starfrit’s The Rock line uses one of these innovative techniques. The surface of each pot and pan is subjected to hundreds of impacts from small steel balls. Starfrit claims that this helps to build a scratch-resistant non-stick surface that will last longer in a home kitchen. It’s also rumored to prevent food from sticking by creating miniature air pockets in between your food and the pan. Let’s dive in with some detailed reviews to determine whether these pots and pans are worth the cost. 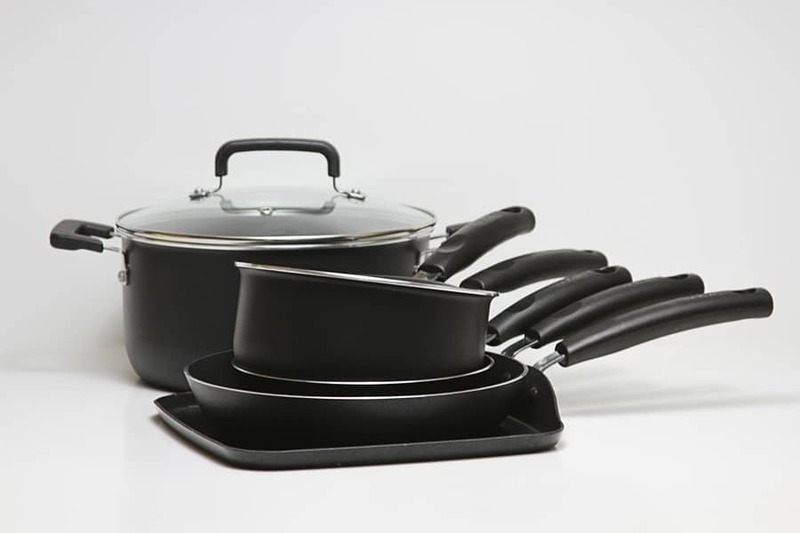 f you’re after a Starfrit cookware set, this 10-piece The Rock Classic collection is a pretty solid start. If you’d prefer a cookware set with insulated handles, this one gives you an extra option to choose from. If you want to spice up your kitchen a little bit with color, be sure to consider this set. This set is an especially good buy for people who want to add a reliable egg pan to their kitchens. This incredibly low-cost skillet is a great option for anyone looking for a small non-stick workhorse. This 10-piece collection features the classic The Rock line. The core of each pot and pan is made of aluminum with a Teflon non-stick coating and metal handles for slightly better oven safety. Tempered glass lids help to give you a great view of your food while you use your new pots and pans. For me, the most important question about these pots and pans is how well the cooking surface works. After all, this is the heavily-advertised feature that Starfrit won’t shut up about. Is the non-stick coating really more durable, scratch resistant, and effective than a normal layer of modern Teflon? As far as I can tell, the answer is “no.” Don’t take this the wrong way, though. This isn’t a bad thing. Modern non-stick coatings have come a long way since the introduction of Teflon to the US market in 1961. Recent years have brought new developments in safety, longevity, and scratch resistance that allow inexpensive pans to have durable non-stick coatings. In other words, while The Rock’s impact-molded outer layer doesn’t put it far above the rest of the pack, it’ll still perform perfectly well in your kitchen. How well does it perform? The pots and pans in this set will stand up to any challenge you throw at them. You can melt chocolate or cheese directly in this cookware and clean it up with a single wipe. Flipping eggs becomes a total joke, of course, and it’s not necessary to babysit your meat in order to prevent it from sticking. If you want a set of pots and pans that’s easy to cook with, you won’t go wrong with The Rock. One thing that I am slightly skeptical of is the tiny divots on the cooking surface. As far as I can tell, they’re not necessary in order to keep food from sticking. What they do accomplish is putting more air in between your food and the cooking surface. This means it might be a good idea to use a little bit more cooking fat with The Rock. Not only will some oil or butter improve the flavor of your food, it will also fill in the little air gaps and help your food cook faster. Speaking of cooking times, The Rock is made from a “thick” 3mm layer of aluminum. Aluminum’s great ability to conduct heat helps ensure that the cookware gets hot fast. There’s just enough material here to provide some thermal “weight,” too, which is important for when you want to slap a cold steak on a hot pan. You’ll notice that this Starfrit cookware performs pretty similarly to most other non-stick brands. If you’re after a Starfrit cookware set, this 10-piece The Rock Classic collection is a pretty solid start. While I’m not totally convinced that it beats the competition, it’s certainly comparable to other entry-level non-stick cookware sets. This makes it a pretty solid buy, especially if it’s on sale. This slightly smaller cookware set is quite similar to the The Rock Classic set above. The big difference here is the type of handles used. While the Classic line features steel handles, this set uses Bakelite in order to keep your hands protected from heat while you cook. This isn’t a huge difference in most kitchens. Modern stainless handles are designed to minimize heat transfer from a hot pot or pan. They’re carefully shaped to slow down the heat as it travels along the handle. 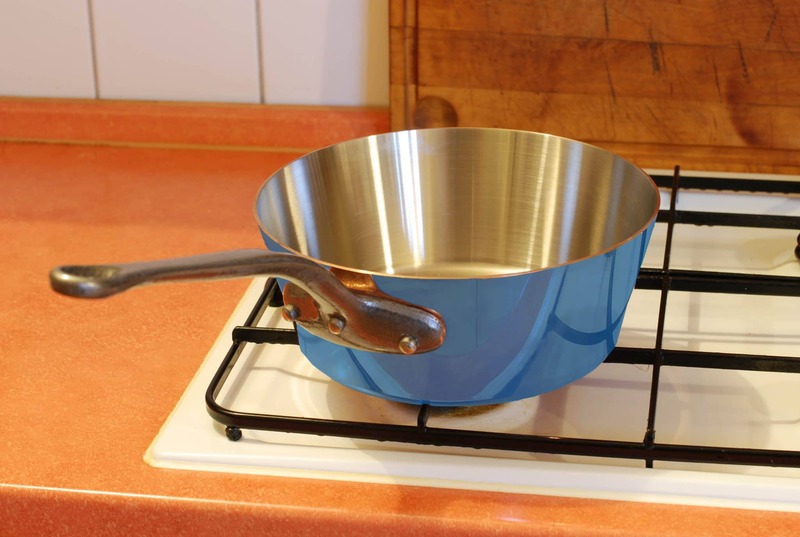 This means that the handle of your saucepan will often be safe to touch during medium-length cooking tasks, like boiling pasta. While heat transfer is slowed, it’s not stopped entirely. This means that for longer cooking jobs, like reducing a sauce or simmering a stew, metal handles will still be quite hot. This is where Bakelite has a big advantage. While hot metal handles necessitate the use of a potholder (or kitchen towel), Bakelite handles stay insulated and safe to touch for a very, very long time. Despite this, Bakelite is oven safe to a very high temperature. These Starfrit pans and pots are capable of going under a broiler at up to 450 F. This is a very high degree of oven safety for any non-stick pot or pan. If you’d prefer a cookware set with insulated handles, this Starfrit cookware set gives you an extra option to choose from. Just like with the set above, I’m not sure that I would rush out to buy this particular set over other worthy alternatives. Instead, it’s a great option to watch carefully for online sales. One additional option to consider is color. While “The Rock” isn’t a name you’d normally associate with a vibrant finish, Starfrit hasn’t totally neglected aesthetics with this cookware line. This vibrant blue set offers an alternative to the drab looks of the Bakelite-handled set above. If you want to spice up your kitchen a little bit, be sure to consider this set over the other options presented on this page. Not interested in a whole set? Starfrit has you covered. You can also buy The Rock cookware piecemeal. The “extra” effective non-stick makes their pans an especially good buy for people who want to add a reliable egg pan to their kitchens. Just like with many other cookware brands, Starfrit’s frying pans are a bit cheaper if you get them in a set of two rather than individually. Due to the short use-life of non-stick pans, this is a great option for most households. You get a spare pan you can simply put in a cupboard until your primary one fails. How short is short? In most cases, I like to say that non-stick finishes have a maximum lifespan of about five years. This is an optimistic estimate based on both personal experience, customer reports, and marketing material from several companies. 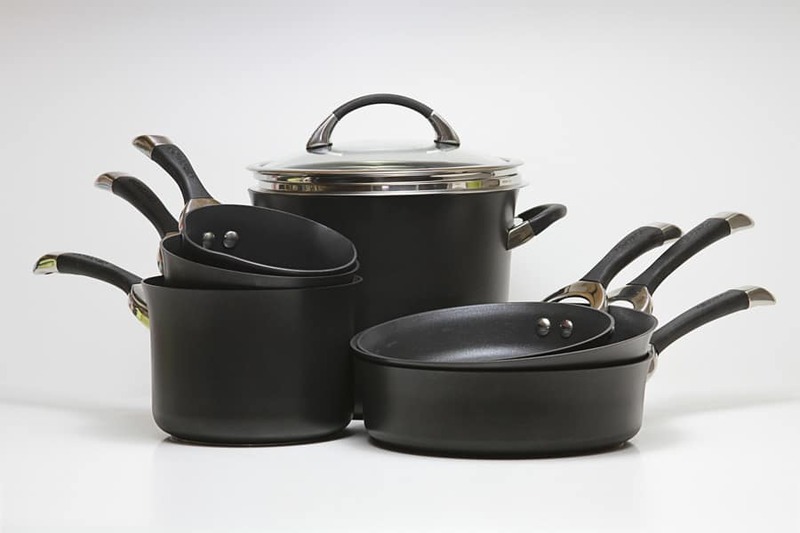 In practice, pans can last for as little as one year or even a full decade with highly infrequent use. As a consumer, however, it’s probably best to plan for your egg pans to fail within two to five years. Starfrit’s “50% harder” non-stick is no different. Customers report a wide range of lifespans, from less than a single year to more than three. These are not the frying pans you want to buy if you want your cookware to last for decades (check out brands like All-Clad or Demeyere instead). You’ll definitely need to pick up another pan after a few years of use. On the other hand, these frying pans are cheap, especially when you get them in sets of two. You can buy a LOT of The Rock pans for the cost of a single All-Clad skillet. More importantly, however, the non-stick coating is wonderfully effective. Again, you can pretty much cook any food you can think of in these frying pans without worrying about things sticking. Even if you create a hot, gooey mess, cleanup is incredibly easy and only takes a second or two. Because of this, it’s easy and fun to cook with these pans. While they might not be the absolute best non-stick pans on the market, their low cost makes them a pretty reasonable option. They’re even better if you can manage to catch them on sale and compare them with brands like Kirkland and Tools of the Trade. If you just want one frying pan, of course, Starfrit offers that, too. 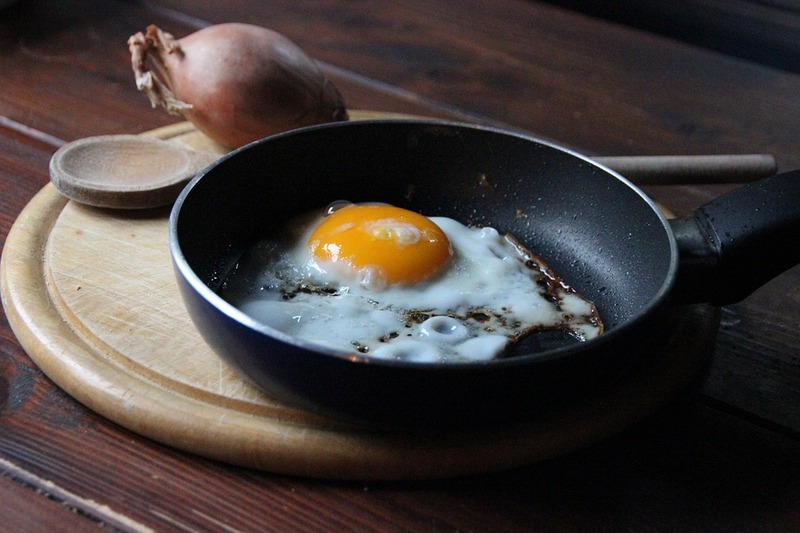 This simple, low-cost frying pan doesn’t have any frills or special features. Instead, it’s incredibly cheap. It’s even available from Amazon as an “add-on” item, which helps reduce your shipping cost on qualifying orders. The only real difference between this individual frying pan and the set of two above is the style of handle. The two-pack above has heat-resistant Bakelite handles, while this ultra-basic frying pan has a stripped-down steel handle. This makes it slightly less comfortable to hold. On the other hand, it helps to reduce weight and cost, making this pan extra cheap and quite good for camping and traveling. Extra options are always nice, especially when it comes to effective egg pans. This incredibly low-cost offering from Starfrit is a great option for anyone looking for a small non-stick workhorse. Food really, really doesn’t want to stick, meaning it’s a great fit for every kitchen. 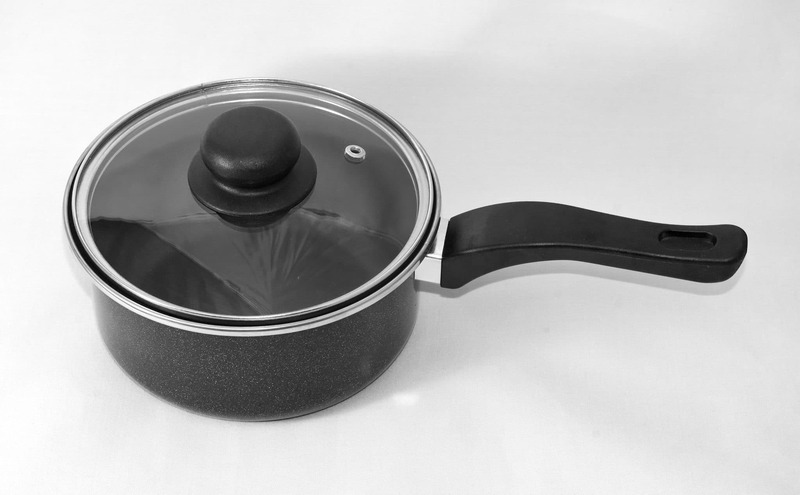 Nonstick – Is It Safe? The Rock Classic pans feature a PTFE nonstick surface that’s very similar to Teflon. While there have been some safety concerns about Teflon in the past, this particular PTFE coating is totally safe. There are two reasons for this. First, PTFE is fundamentally pretty safe. The reason that non-stick is so non-sticky is because it’s very non-reactive, which is a scientific term that means it pretty much doesn’t do anything, ever. This means that even if you were to eat it, your body wouldn’t be able to break it down or digest it at all. I’ve done quite a lot of research on the safety of Teflon and other non-stick coatings and I’ve never come across a story of anyone being injured because of ingesting PTFE. Second, the health concerns surrounding PTFE are outdated. While it’s true that a toxic chemical used to be involved in its manufacturing process, modern regulations have made it much safer in recent years. PFOA, the chemical that so many activists were scared of, has been totally removed from the process that makes modern PTFE. This means you don’t have to worry about toxic chemicals. A single health issue still affects modern PTFE, of course. 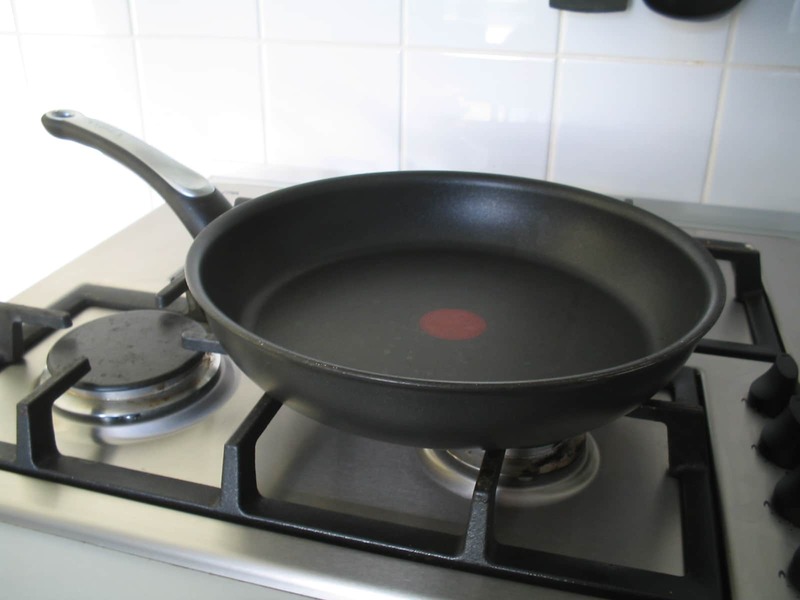 If you overheat a Teflon-style nonstick it’ll release a “toxic” gas that can cause headaches and cold-like symptoms in humans. As long as you don’t throw your pans in a very (450F +) hot oven or leave them unattended on a burner on high, however, you won’t have to worry about this. PTFE is totally safe at normal cooking temperatures. The final verdict? The non-stick used in The Rock cookware is safe and effective. You don’t have to worry about accidentally eating it, getting toxic chemicals in your food, or other health issues. While I’m not the biggest fan of The Rock’s unique impact-forged cooking surface, it’s still an effective and inexpensive line of cookware that’s worthy of your consideration. Their cheap pans are an especially solid buy for anyone who wants an incredibly non-stick pan for eggs, messy sauces, and even melting chocolate. If you’d like to pick up non-stick cookware on a budget, be sure to check out The Rock.